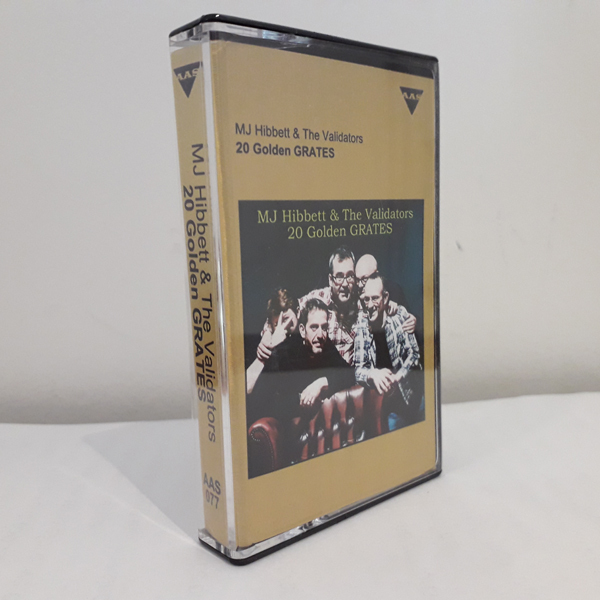 MJ Hibbett & The Validators: 20 Golden GRATES is out TODAY! Blog: 20 Golden GRATES is out TODAY! Shout it to the very rooftops: today is the day when our GRATEST hits album 20 Golden GRATES is officially released to the world! On CASSETTE! Speaking to people this past week TWO (2) things have become abundantly clear to me. Firstly, many seem to be put off from purchasing it due to the simple fact that they do not own a cassette player. This is entirely understandable, and I think demonstrates that I should be saying "It comes with a download code!" much more loudly. It comes with a download code!. 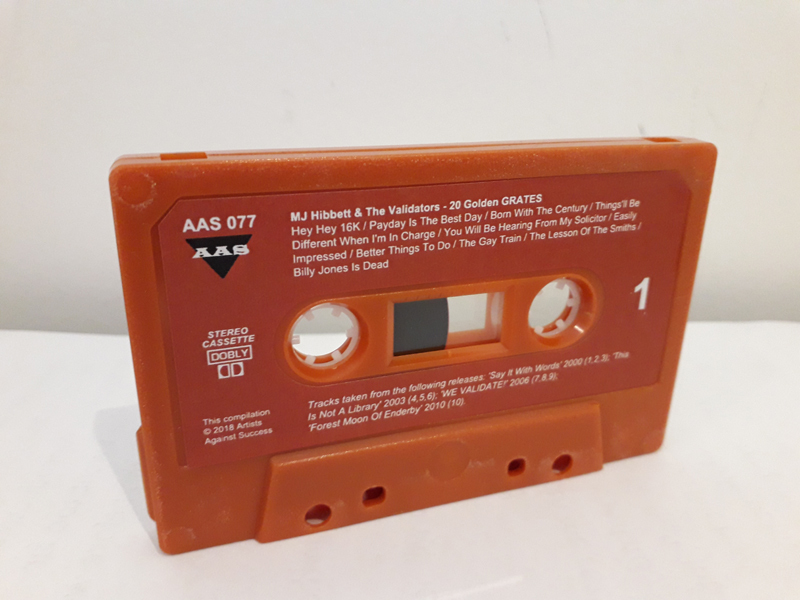 This means that you can slot the whole lot into your music player of choice (in your file format of choice too), while also having the BEAUTIFUL ARTEFACT that is the actual cassette to love and keep. This leads me on to the second thing, which is that the tape looks RUDDY GORGEOUS. I mean, look at it! You can click on the pics for bigger versions. It really is a lovely item, inside and out - every time I hand one over I LOOK upon it in wonder, and it's made me think that maybe I should also be telling people that it's a beautiful item in its own right a bit more loudly. It's a beautiful item in its own right! 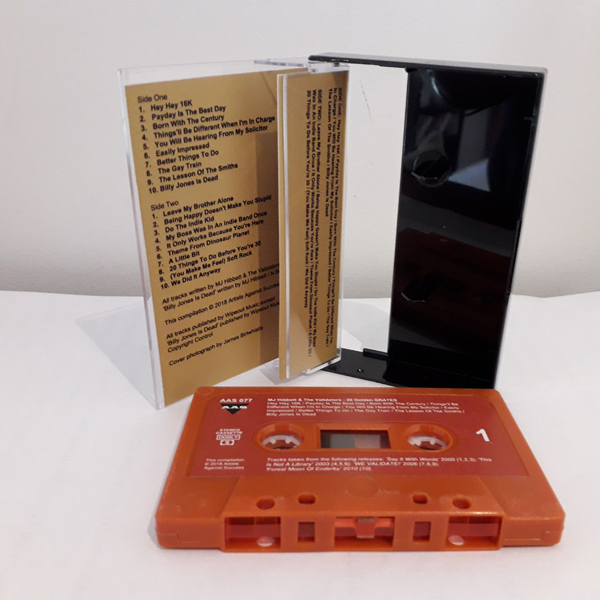 As stated, it's available to buy directly from us over in our online shop for just �8.99, with postage and packing FREE wherever you are in the world. If you get yourself one I hope it DELIGHTS you, and if it does please tell other people!